Annual Meeting is Almost Here! Our Annual Meeting will be held on Sunday, February 24 after the 9:45am combined worship service. There will be an all-parish breakfast before our annual meeting. 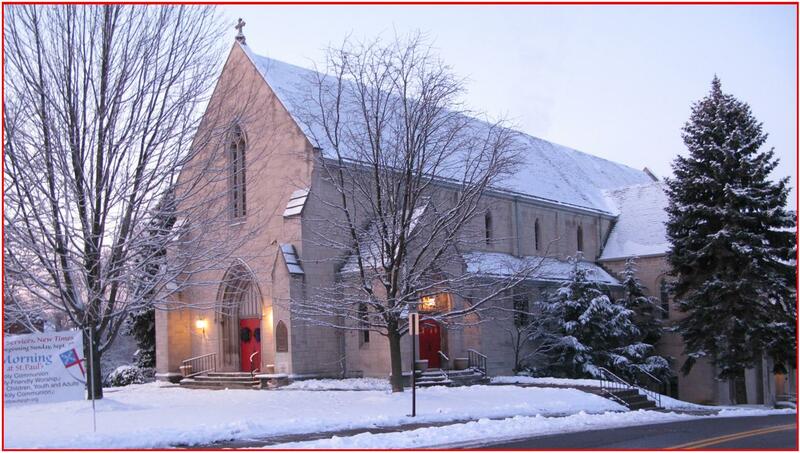 CANDIDATES FOR VESTRY 2019: At the upcoming Parish Meeting on Sunday, February 24, parishioners will elect 4 members to the Vestry. The terms of 4 members have expired -- Lisa Brown, Jon Delano, Pat Eagon Stafford, and Ell Vines. Although there is still a short time left for others to be nominated, your Nominating Committee (Jon Delano, chair, Paige Russell, Eileen Sharbaugh, Preston Shimer & Pat Eagon Stafford) are pleased to present the following candidates for your consideration: Michele Baum, Meghan Clark, Freya Dickson-LaPrade, Jennifer Dudgeon, Kathleen Davies Hendricks, Derik Moore, John Sheehan, Jamie VanNostrand, and Ell Vines. Biographical information on each candidate will be distributed shortly. Again, parishioners may vote for up to 4 of these individuals to serve a 3-year term on Vestry. If anyone else would like to be nominated, please contact a member of the Nominating Committee in the next few days. On Sunday, February 17, you will have the opportunity to meet our Vestry Candidates at a forum during the 9:45am education hour. You can also view the final proposed bylaws for the 2019 Annual Meeting at stpaulspgh.org/bylaws. Sunday, February 24th at 11:15am: Children's Programming for the Annual Meeting: Wonders of Wildlife, Courtesy of the Pittsburgh Zoo and PPG Aquarium! Discover fur, feathers, and scales in this introduction to some of the world’s most fascinating animals. Using live animals from the Zoo, we will explore the physical characteristics of each animal while learning how they are uniquely adapted to their environments. The program is 45 minutes long and includes 3 live animals.